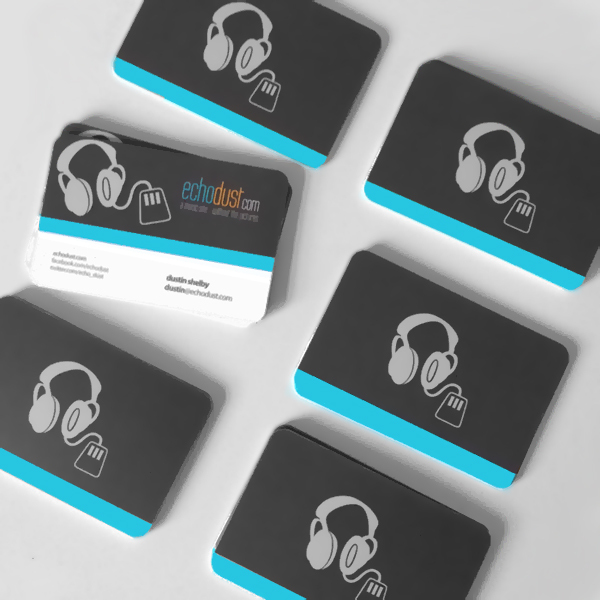 A simple, curved-edge business card for my music website, EchoDust.com. For this card I wanted to compliment the site’s current aqua, gray, orange, and white color scheme. I also wanted to bring attention to the logo itself, in a effort to begin branding. The back of the business card prominently features the logo, with an elegant stripe of color along the bottom. The front contains my various forms of contact and social media networks.